Do not deny it, you do it above all for yourself. Not that you don't care if you are not read, commented, contradicted: on the contrary. But you don't even want someone to feel forced to do so, which would happen exponentially if these contents were pushed into the meat grinder of a social network ... and anyway, hardly anyone reads (or elaborates) thoughts formulated with more than 150 characters there. Basically what has won your reluctance to expose yet another personal showcase on the web is above all the feeling that at this moment for you it could be a healthy thing. As if the doctor had advised you, in short. The fact of dealing with issues you hardly have the opportunity to speak of, combined with the awareness that the present time is surely bleak, but also full of turns and possibilities, has done the rest. Having said that, if this is a kind of medicine, well, medicines should not be taken for an unlimited time, otherwise it means that the matter is more serious than expected. So this blog has an expiration date: not too close nor too far, but one day, as it has arrived, it will vanish. Conclude with the words borrowed from the introductory note of "Note di pop inglese", a milestone in Italian musical essays by the never forgotten Roberto Cacciotto and Giancarlo Radice: "Despite the particular structure of the book there are no encyclopedic ambitions, no one has sat down on the highest chair and, therefore, on every line it is fair to reflect, dissent or spit ". 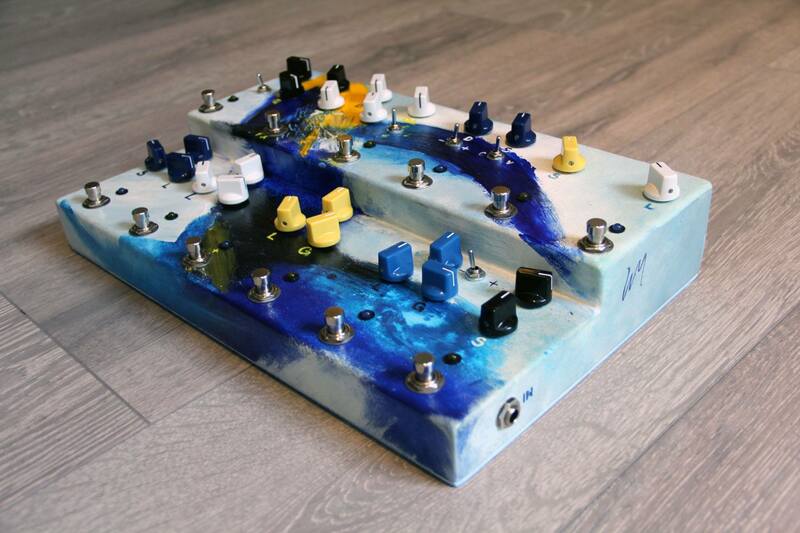 If you scroll this page down to the bottom you will come across an article dated June 2011 in which I presented my multi-pedal made by Jam Pedals. 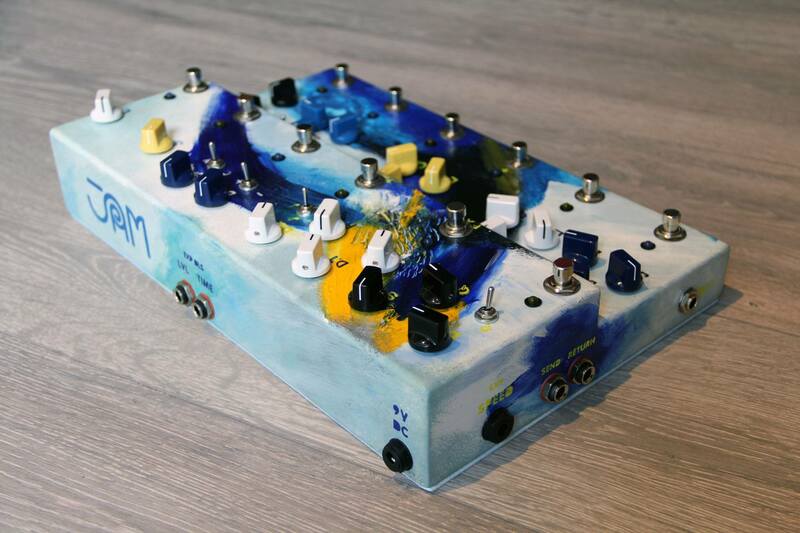 Since then, the work of Jannis Anastasakis and the guys at Jam, which was already excellent, has only improved: so I came back from Athens with a new, wider, more colorful custom multi-pedal. Alongside the effects I have most used in these years (the TubeDreamer 58 overdrive, the Dyna-ssor comp, the Chill tremble, the Waterfall chorus), I added an additional overdrive (the TD 72, which comes as the 58 with an extra switch to increase gain), a Rattler distortion (based on the Pro-Co Rat that I often used until 2011), a booster, a phaser and especially the Supreme version of the legendary Delay-Llama which features functions like tap-tempo, hold and some delay eq and modulations. Final touches one send-return and two inputs for the expression pedals, one for the delay and the other for the tremolo. 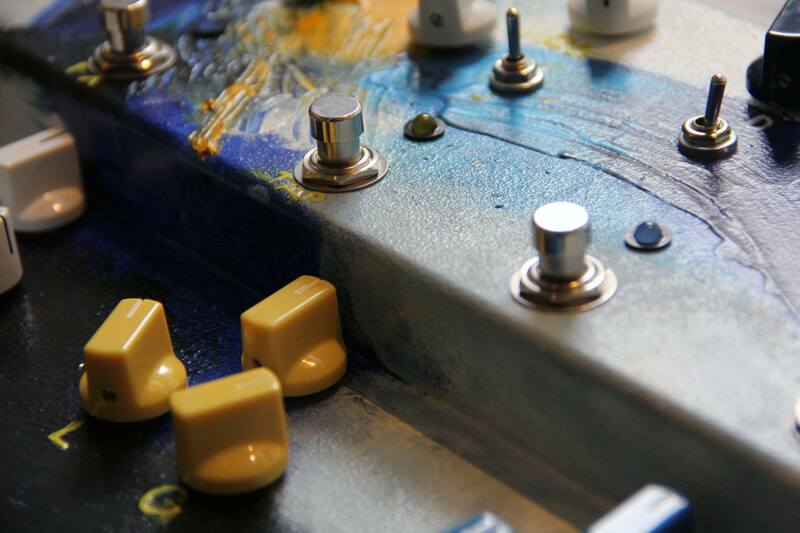 Reduced size but excellent sound, which also benefits from the fact that all pedals are always true-bypass. This time I had to put my sign on it. Quite intense months these last ones guys. That's why I find myself updating the page with great delay, giving news of what has already been and what will still be. On the editing front, hard work from October: the 3 episodes of Tutta Colpa Di Galileo, a travel in space research with Annalisa Scarrone; Portrait In Solid Light, documentary on contemporary artist Fabio Mauri; and then 3 more unreleased documentaries, the latest being finalized these days, which investigate 3 different aspects of today's Italian reality and that will be aired next season on Sky Atlantic. Everything under the direction of the proud Andrea Bettinetti. In May Mexico! 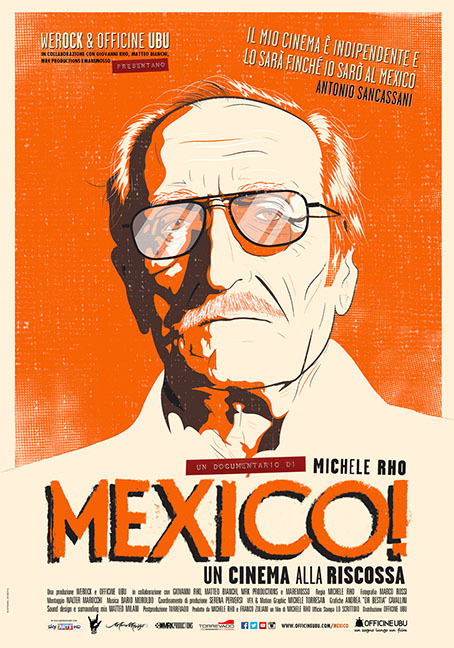 Un Cinema Alla Riscossa, the film I've been working on last year about the historic Mexico movie theatre directed by Michele Rho finally came out, and it's going to be published on dvd after summer. A story about passion and independence made with the same passion and independence. Among the non-documentary work I have recently cut, I like to mention the Stand Against Violence commercial shot by Laura Chiossone. 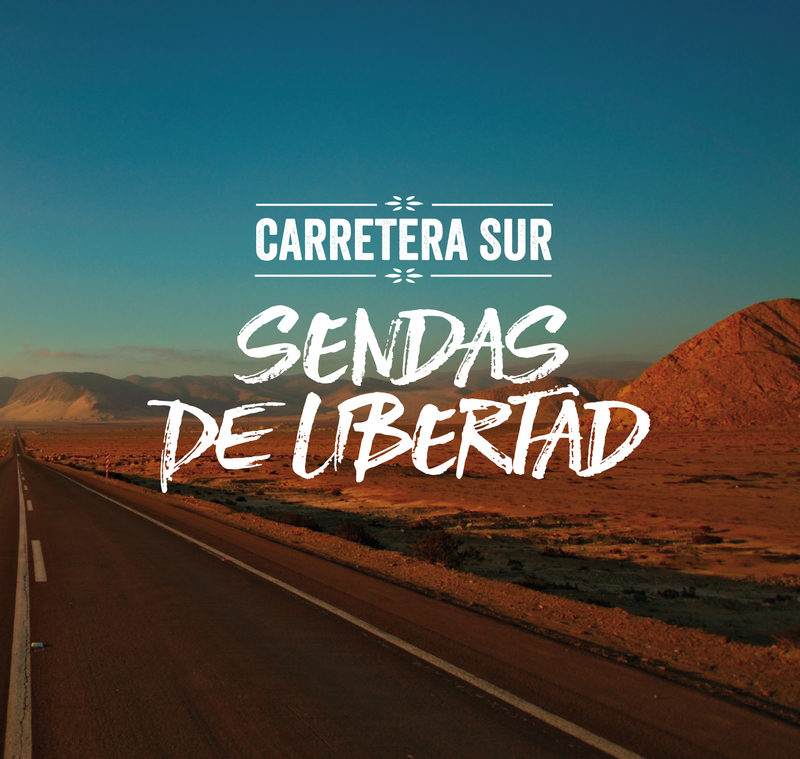 As announced a few weeks ago here it is: Sendas De Libertad, the first album by Carretera Sur, the acoustic duo I share with Ornella Vinci. We have come a long way in just less than two years, and this, of all my cds, is perhaps the one I wouldn't have expected to realize. 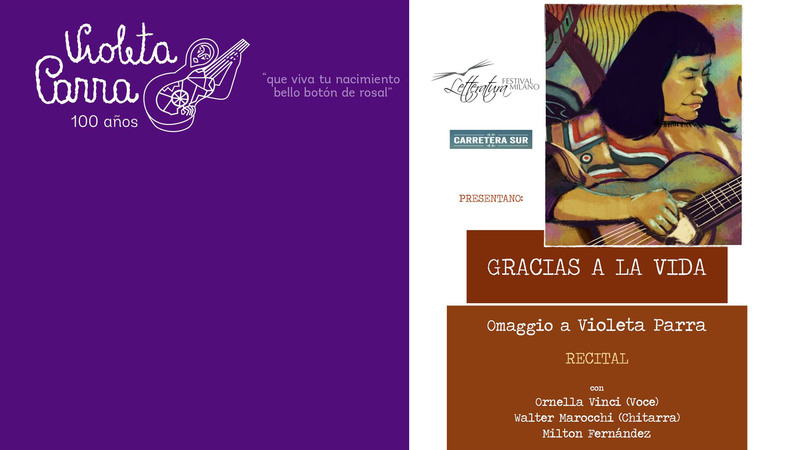 But the raid we made on December 8th 2015 at Torrevado studios and the following post-production work done in the clippings of the last four months have restored a beautiful testimony of our "versions" of some highlights of our LatinAmerican songbook... and so let's print, fast! Keep an eye on the Music section for our next gigs. In the meantime I can tell you that the official presentation will be on Saturday, June 11 in Milan. While Jethro Tull Benefit Tribute Band marches on with great live satisfaction and will continue all throughout spring and summer to bring on stage the repertoire of Ian Anderson's band, we are about to publish the first album by Carretera Sur, which is also my first cd based on non-original songs. Thanks to the graceful Ornella Vinci and to all the friends at Torrevado studio for their indispensable collaboration. In May then, Ornella, Giovanna Ferrara and myself will be back live to tell the stories of Tema Libero, nearly a year after the wonderful evening at the Triennale in Milan. A project that, fingers crossed, will always have more breath in the near future. 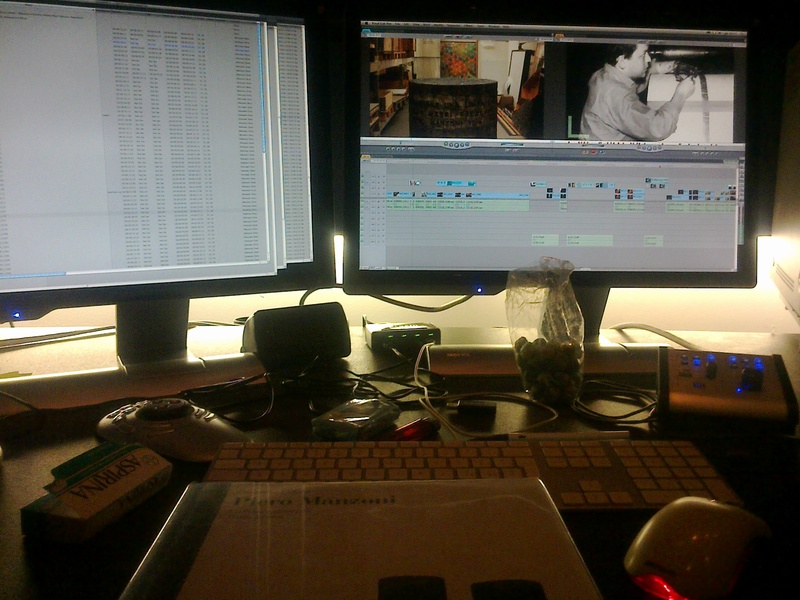 Along with director Michele Rho I'm finishing the edit of Mexico! Il Cinema Alla Rivoluzione, about the most legendary cinema theatre in Milan. Soon to be released also the short film Claustrophonia, directed by Roberto Zazzara, starring Matilde Gioli (Il Capitale Umano), cinematographed by Michele D'Attanasio (Lo Chiamavano Jeeg Robot), and featuring the musical collaboration of Gary Jules. Anacondia have a long story. It's rooted in he encounter between two young classmates, Gabriele Ramilli, singer, and Andrew Canonico, keyboard player. An idea, to write original songs, which back in 1995 did not seem to be so much against the tide. It's a slow story, born out of many expectations, of fragile balances, of exhausting attempts to overcome barriers in music, to share a creative project by placing the group and the people who make it in front of everything, even the music itself. A stubborn story, because it takes stubborness to continue, after two decades, to believe in it and to face all the difficulties, limitations and the inevitable frustrations that those who propose original music have along their way. Above all it is a passionate story, because it's fed by the passion of five people who have grown together personally and musically. 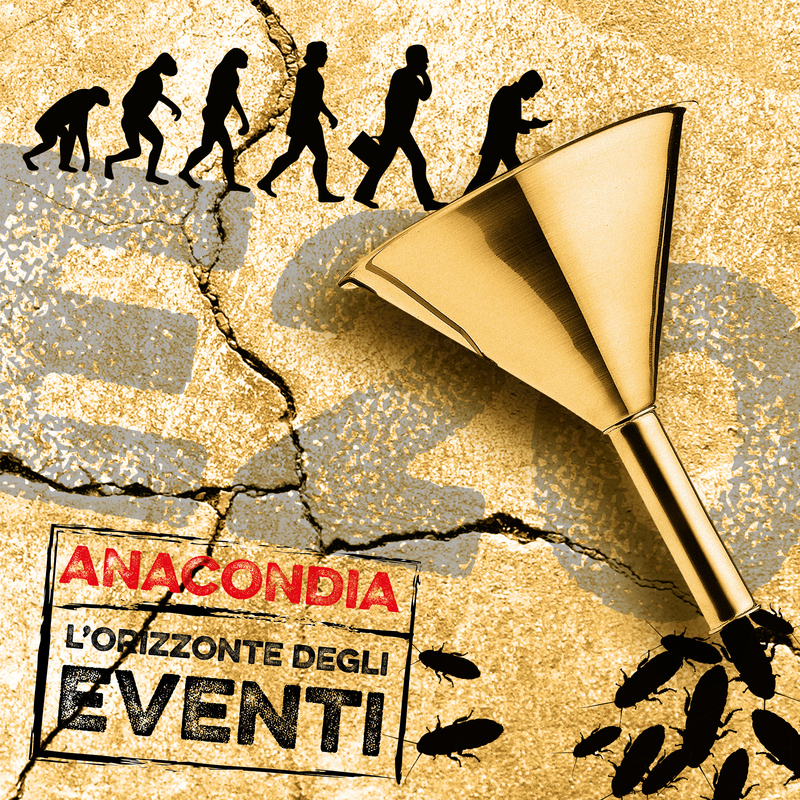 Produced by the band and Andrea Pestarino and published by Lizard Records, L'orizzonte Degli Eventi is Anacondia's first official album and comes in the year of the twentieth anniversary of the birth of the group. If we'd have to talk about musical genres, we should bring up progressive rock, hard&heavy, perhaps folk and psychedelia. But ultimately it's the sum of all these stories. Busy months I've been through, but I'm very happy with what's coming out, both in my editing work and in music. I will not mention everything (you can get more details from my FB page), but I'd like to spend some words on two special documentary projects I've edited. Asmarina is a super-independent production conceived and directed by Alan Maglio and Medhin Paolos: Alan and Medhin spent one year and a half gathering material, selling their collections of vinyl records to produce this brave documentary that focuses on the "habesha" community in Milan, but also deals with hard themes such as post-colonialism and immigration. The film is receiving wide success at every screening, and filling theatres at every show, which is really rare for an independent project. Visit www.asmarinaproject.com for more infos. Working with maestro Andrea Bettinetti is always great. Swinging Roma was a long and hard work, but we managed to squeeze in a 73 minutes film ten years of art, literature, cinema, often told by the protagonists of the times. 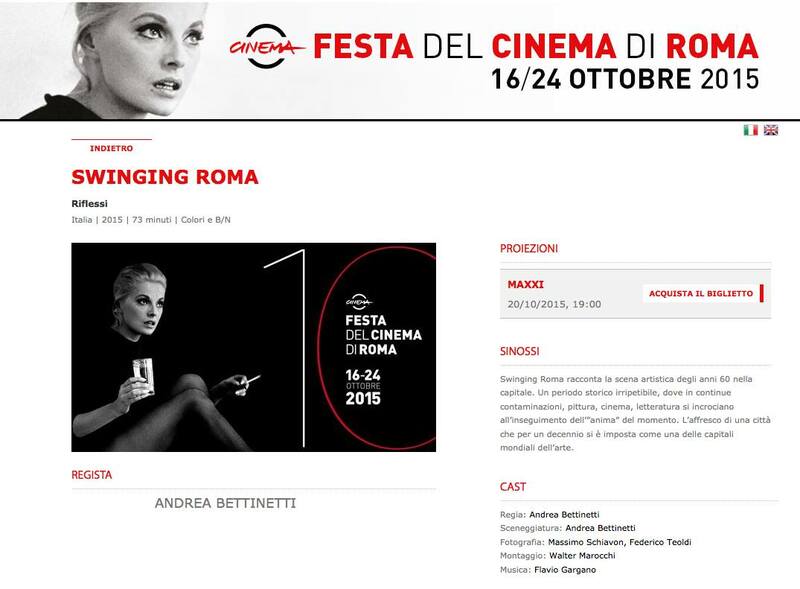 Rome in the '60 was the place to be for artists, and it's a great goal to have this film premiered at Rome's Film Fest next week. From October 24th it will be on air on Sky Arte, and then probably distributed on dvd. It's always an illuminating experience to work on interesting projects with talented people. Hope to give more news soon. I've been editing a couple of documentary films in the last months, both realised by the expert hands of director Andrea Bettinetti, and both will be on air between February and March 2015. 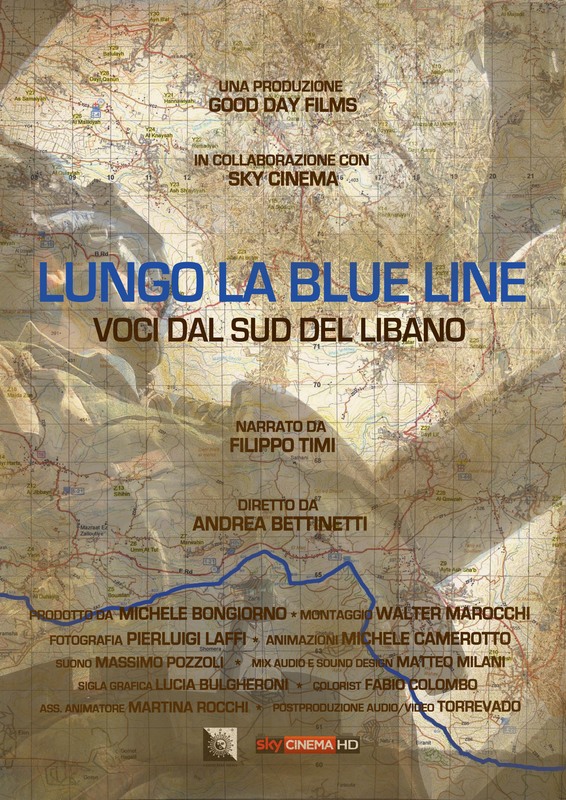 Lungo La Blue Line is set in the South area of Lebanon, just along the Blue Line that divides Lebanon and Istrael, and offers glimpses of life and stories of the members of the Unifil peacekeeping mission. The voice of famous actor Filippo Timi provides a special narration to the film. 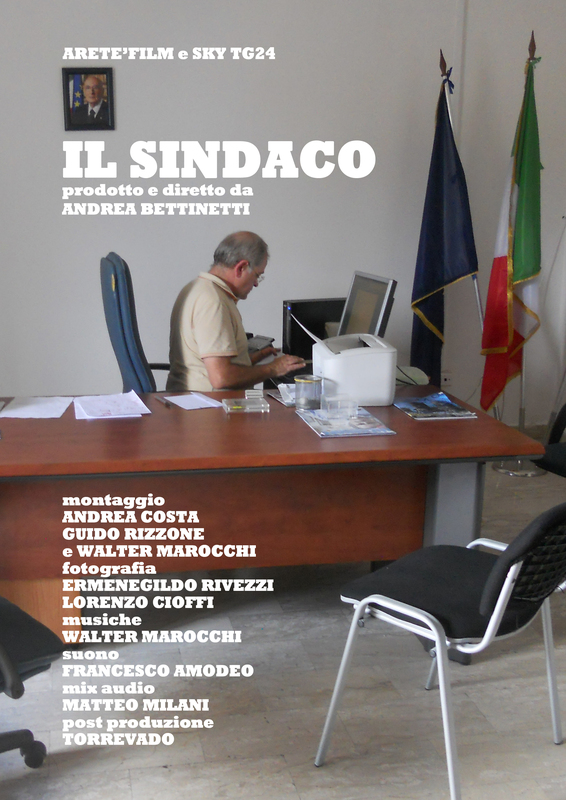 Il Sindaco follows Renato Natale, mayor of Casal Di Principe, in his long civil fight against Camorra. Besides taking part in the editing process, it's been an honor and pleasure to provide a musical score for this little but important project. In the whirlwind of recent projects I am pleased to present a new experiment featuring myself and the ubiquitous Mario Cominotti: Sound Fiction is the name we have given to the anthological reading dedicated to science fiction we will premiere in Milan at the Baggio Library on Thursday, November 13th. Readings by Frederick Brown, Ray Russell, Rod Serling, Arthur C. Clarke, Jorge Luis Borges (with adaptations and translations of the original texts), live soundtrack and interspersed musical tributes to Bernard Herrmann, Vangelis, area, Battiato and ... some original composition. I'm going to perform in a couple of very different musical situations next month. In Carretera Sur I will try to worthly accompany Ornella Vinci's voice in a personal rendition of latin-american songs, spanning from the very rich folk tradition of Chile, Argentina, Cuba, Brazil and paying homage to authors and performers such as Victor Jara, Mercedes Sosa, Silvio Rodriguez, Marisa Monte, Elizabeth Morris. Always paying homage but to one of the most prominent rock bands of all time with Benefit Tribute Band, playing the music of Jethro Tull and especially focusing on their first golden period (1968-1972). Besides myself on the electric guitar, there are Mario Cominotti on vocals and flute, Giulio Quario on acoustic guitar, Maurizio Mambretti on bass and Roberto Gigliotti on drums; the debut will be an (unplugged, due to location necessities) session in a special evening dedicated to the band's history and music. 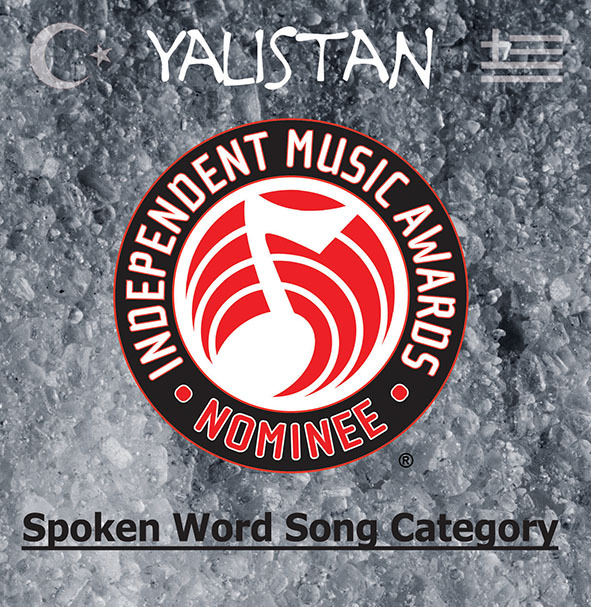 The jury of the 13th Independent Music Awards has nominated our Yalistan in the Spoken Word Song category. We join the nearly 400 self-released and independent label artists (as well as former major label acts named today by Music Resource Group) chosen among thousands of acts in 70 countries and 6 continents by judges such as Laurie Anderson, Suzanne Vega, Meshell Ndegeocello, Bernie Worrell, Joshua Redman as Nominees in the influential awards program for independent bands and fans. We're proud to be included in this contest also because there are not many europeans artists among the nominees and definitely a very very few italians (and only one italian band singing in turkish and greek...) but what makes it more special to me is that we made it with the "toughest" song on the album, the one that almost didn't get in, the one speaking (literally) of exile and music crossing borders and nations. On February 26th at 11 p.m. I will be guest at "Lotta Love", online radio show hosted by Web Pieve Radio. An acoustic evening with my friend Mario Cominotti, chatting about music and Mala Hierba and playing unplugged versions of some good prog-rock classics! So here it is, available from today on iTunes, CDBaby, Amazon, Spotify and many more, and directly downloadable from the band's Facebook page. In a time and place where making original music often means to deal with struggle, privation, frustration and trouble in general, to end up with something that merely comes out of the pleasure of putting sounds together and not having any expectation about it seems to us such a fantastic escape. A boutade, the ectoplasm of a project which slowly turned into a real collaboration even if one far from the other, where music poured out of digital exchanges in which everything was accepted and nothing expected, not even they could come to an end. We had never played a note together and we came up with an entire record. It surprised us in the first place to have realized it with such a perseverance, and such a democratic, almost anarchic sharing of ideas and choices. 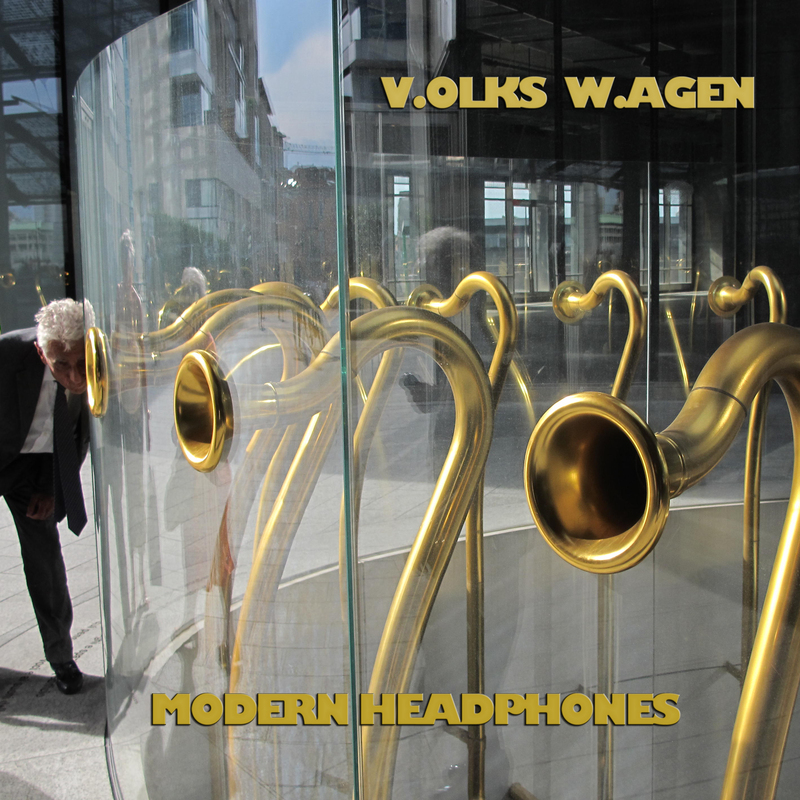 You can listen to V.olks W.agen's first single on Facebook. Let us know what you think of it. WM. Subscriptions are open for the new video editing courses I will hold at the Emit Feltrinelli in Milan. 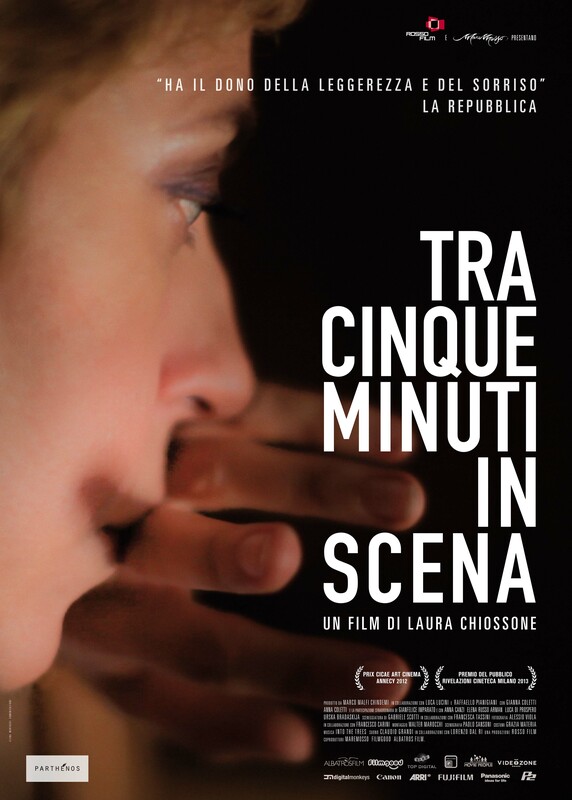 Finally out in movie theatres in Italy Tra Cinque Minuti In Scena, a film directed by Laura Chiossone. I feel lucky and proud to have worked as editor on this one. After the awards at the Annecy festival and at the "Rivelazioni" festival in Milan and after the first positive critical reviews, things that already felt like miracles to us, we've finally come to the long awaited, toughest and most exciting test: the audience. With the exception of quick solo appearances and underground radio shows, more than a year and a half had passed from Mala Hierba's previous live performance. Such a huge amount of time, especially for a group that always more often shows up in different forms. You rarely get what you expect when you're back onstage after a long break, because it's impossible to squeeze in an hour and a half all you've been living in music in almost 20 months. But maybe that's one of the reasons why the warmth and enthusiasm of the audience was a cure-all! You made us understand that we've given you something, and more, that you had fun. So thank you all for coming to the concert, because we really needed to fill up. Mala Hierba unplugged on the radio? It can be done! On Sunday, april 7th interview and mini-live on Share Radio,at 9.30 p.m..
WM on radio broadcast "ETNO-BAZAR", on air on Friday, March 29th at 6 p.m., repeated on Saturday, March 30th at 11 p.m. on Radio Capodistria. 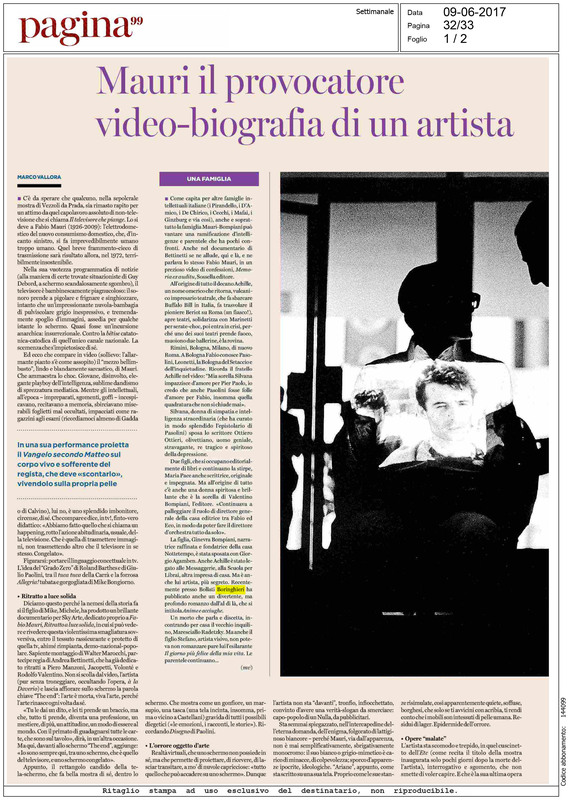 From march until the end of June Walter Marocchi will hold a 40 hours video editing and post-production course at the "Giacomo Feltrinelli" institute in Milan. Monday, march 11th at 10.20 p.m, and tuesday march 12th at 20, WM Mala Hierba in Donato Zoppo's radio show Rock City Nights aired on Radio Città BN - 95.800 Mhz. Tuesday, march 12th from 4 p.m. with Claudia Giammaria on Radio 3 Network. La Cueva Del Gato, the first single from Alisachni, is featured in a free-download compilation on the website of Repubblica XL; you can download the song, always for free, also on amolamusica.com, which features Mala Hierba in home page for a week..
DOWNLOAD THE MAKING OF "ALISACHNI" FOR JUST 2 EUROS! 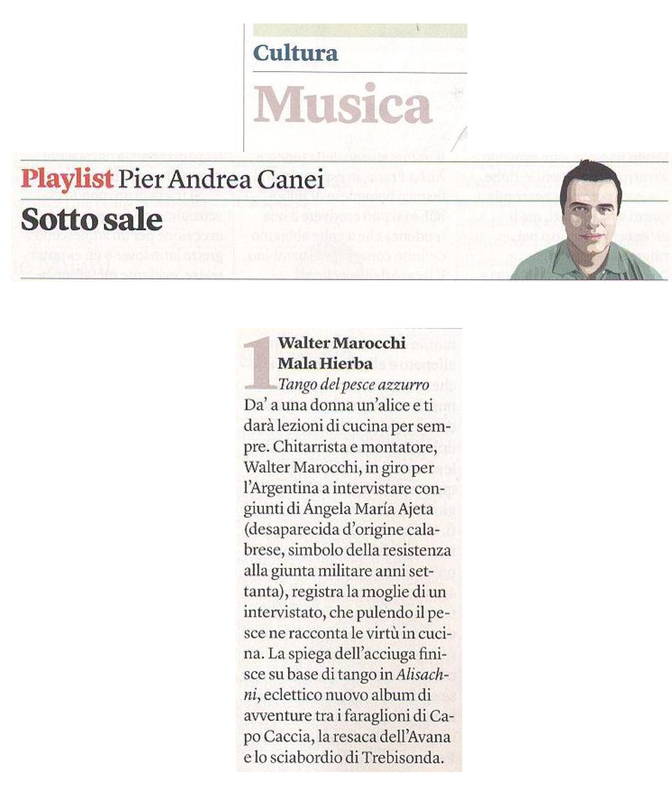 Tango Del Pesce Azzurro is featured in Pier Andrea Canei's playlist in this week's number of Internazionale. 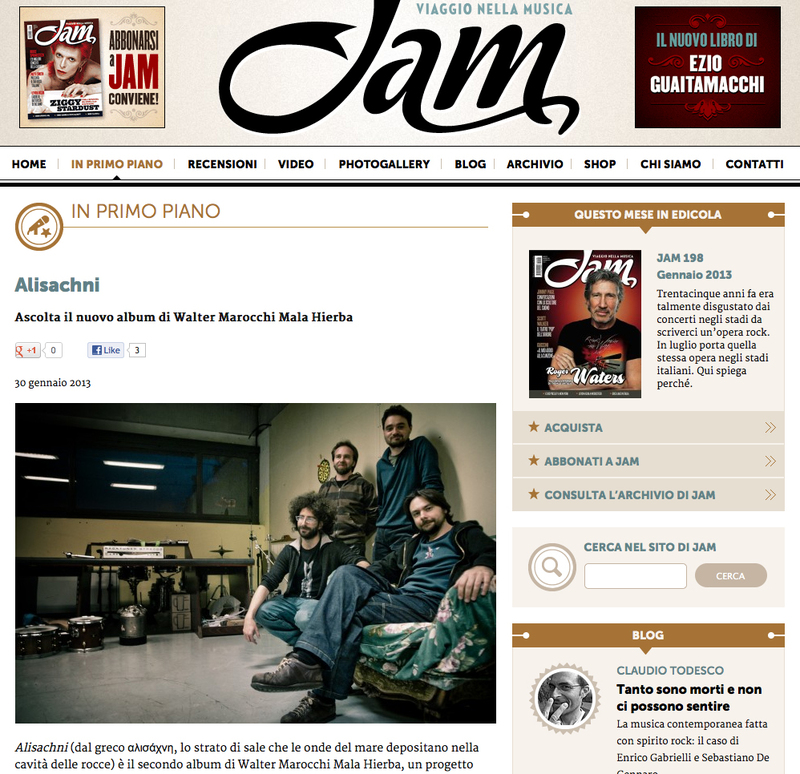 Tomorrow February 6th at 4pm WM will be on air on Radio Onda d'Urto to chat about Alisachni. From today, and for a week exclusively, Alisachni is streamed in its entirety, on the website of the musical newspaper JAM, with a track-by-track analysis. Alisachni is a greek word meaning "the brittle salt layer minutes left in the hollows of the rocks by the sea waves". From today it is also the title of the new record by Walter Marocchi Mala Hierba, a work that leaps even further in melting different musical genres and sounds, almost a concept album revolving around the concept of music as a consequence of human movement, everlasting and unstoppable like the migrations of animals or the tidal currents. 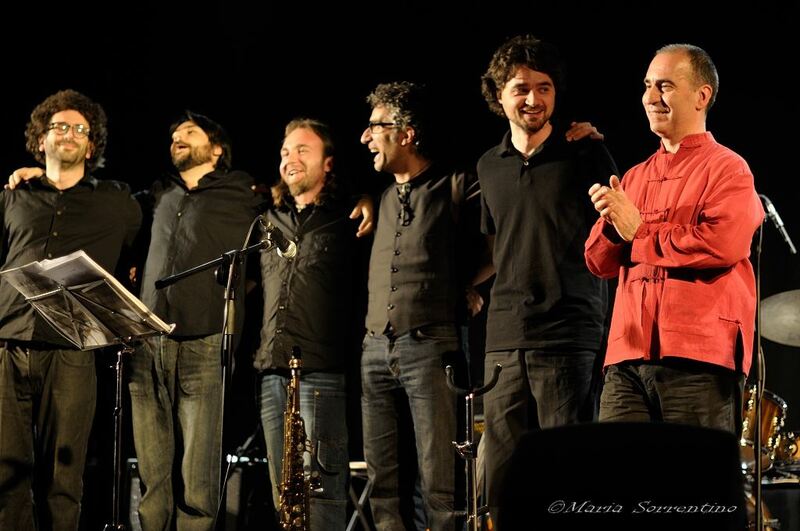 Joining forces to the quartet of Impollinazioni (Marocchi, Mocata, Ferrara and Lazzari), we find extraordinary multi-instrumentalist Antonio Neglia, and the album features Felice Clemente, one of Italy's best jazz saxophone players, Roberto Romano on clarinet and duduk, Fabrizio Barbareschi on percussions, and in two songs the voices of Ornella Vinci, Altin Manaf and Giovanna Ferrara, and again the eight members of the Aquilante choir. An album of such intensity that in need to recover we had to release it on Sunday. From today you can find it on CD, distributed by I.R.D., and in all the best digital stores such as iTunes, Amazon, Rhapsody. You can also order the physical CD through the net on the CdBaby website...and don't forget you can download the original booklet for free at the link below! Click here to download the digital booklet of Alisachni in pdf format. From today on, you can listen to all tracks in the MUSIC section in their feature-length, in mp3 version. Give the player just one more second to load and...have a good time! Very soon songs from "Alisachni", the new Mala Hierba record, will also be available. We're almost ready. 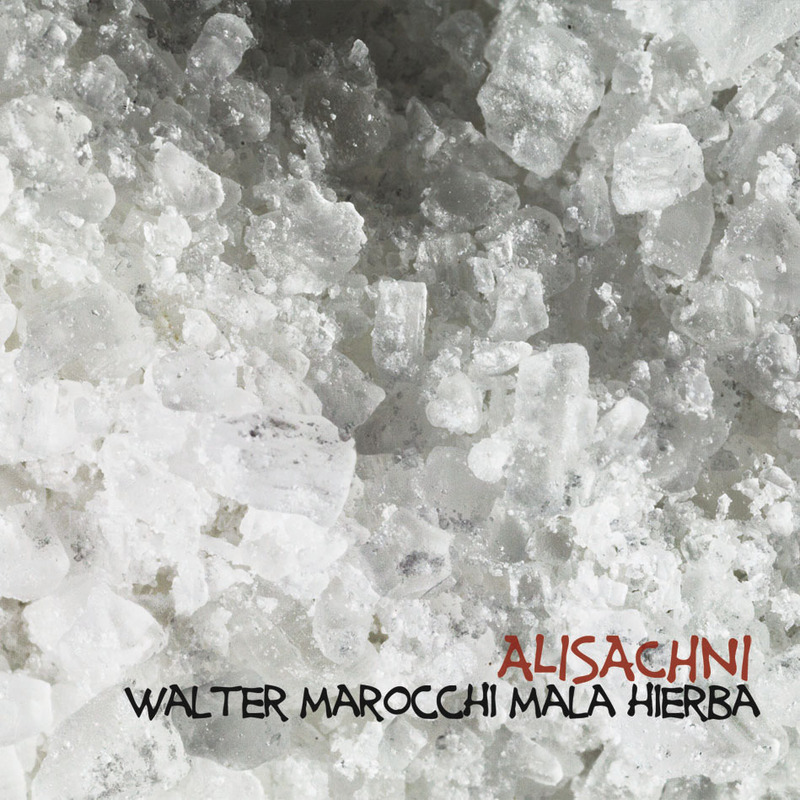 Alisachni, the new album by Walter Marocchi Mala Hierba, will be released on January 27th. Some more infos in the MUSIC page. 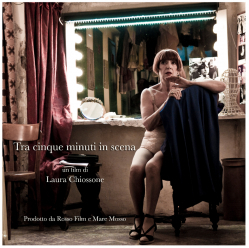 I'm proud to announce that Laura Chiossone's first feature film, which I edited and partially contributed to the soundtrack, has won the CICAE (Confederation internationale des cinémas d'art et d'essay) Award at the 30th edition of the Annecy Italian Film Festival. The jury unanimously awarded the movie for the difficult and courageous subject and conscious staging of the relationships between the characters. Were also appreciated the clever commingling of different cinematographic languages? ?, the ability to arouse strong emotions but moderate, the formal strength and aesthetic of the film. 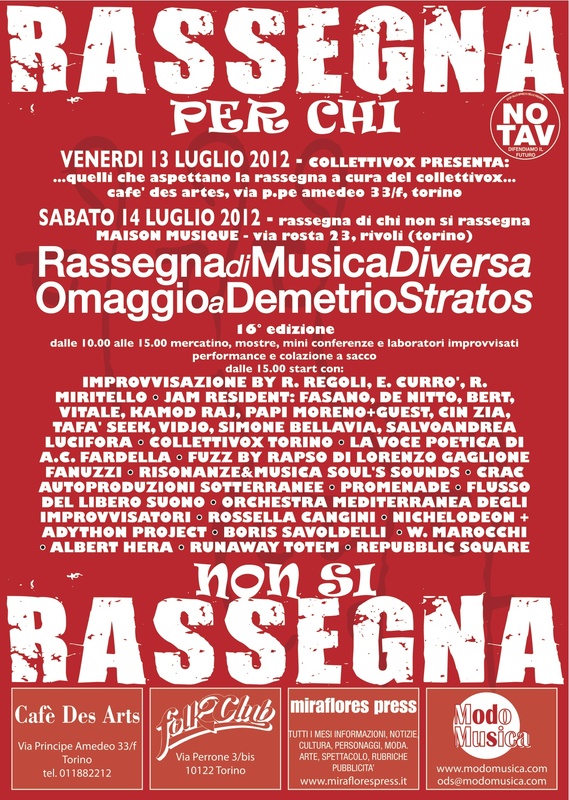 More news here: http://www.facebook.com/Tra5MinutiInScena. Just started editing Linea Gotica, a film directed by Stefano Giulidori, featuring actors Carlo Delle Piane and Massimo Foschi. 2012 and I'm back on the site after a while. A lot of editing from september on, and I'm proud to announce that a documentary I've been working on in these last months, doing both editing and original score, will evolve into a feature film! I've just started working on this new project with director Laura Chiossone and will be for a couple of months at least. Soundtracks apart, my musical activities slowed down a bit, but let me say that both Mala Hierba and Anacondia are planning to record some brand new stuff. I swear I still don't know when, but I hope soon, and as soon as I know I'll let you know. Cheers! "FIMMINE FIMMINE, CA SCIATI ALLU TABACCU"
It's the title of the evening event that will take place on Monday, June 27th at the Circolo ARCI Martiri di Turro in Milan. WM and director Antonio Puhalovich present L'Ultima Raccolta (The Last Harvest), a documentary film shot during the last year of the reaping of tobacco in the south-italian area of Salento: myths and memories of an ancient rural world now disappeared. I was asked to write a few lines about my collaboration with JAM Pedals, which realized the multi-pedal I've been using recently. JAM is a little big factory based in Athens, Greece, manifacturing analog, true-bypass, great-looking guitar pedals, inspired by classic 60's and 70's vintage pedals. The interesting thing is the possibility to choose different types of effects and configurations and mount the circuits straight into a compact custom multi-pedal. That's the ideal thing for guys like me whose aim is to shrink the equipment and reduce the time spent to get ready to play, without having to lose quality. I will not discuss here the features of every single effect, suffice it to say that the quality of sounds is very good, the warm and natural tones of analog instruments prevail, and also the clarity of the signal is excellent. As everything, analog has its pros and cons, especially on some specific effects, but anyway nothing will stop you from connecting other pedals, even the digital ones, to this unit. In short, my multi-pedal includes: a Dyna-ssor compressor, inspired by MXR Dyna-comp; a TubeDreamer 58 overdrive with an high-gain switch to boost the signal; a Red-Muck fuzz distortion shaped on the legendary russian Big Muff; a Chill tremolo, that can be used as a booster too; a WaterFall chorus with 2 extra switches, one to add a vibrato and the other to adjust the maximum speed of the effect; a Delay-Llama, with an hold switch to create a "looping" effect. One jack that gets in, one jack that comes out, with a send-return output I've placed after the distortion pedal. Everything works just fine. Altrimenti Ci Arrangiamo live 2011: under this prophetic name begins a new series of live gigs for Mala Hierba, in which never-played-before material will be presented with different line-ups. Details in MUSIC section. WM is currently working, once again both as film editor and musician, on the documentary film ¿Necesitas Algo, Nena?, directed by Laura Chiossone, based on the true story of the italian-argentinian desaparecida Angela Maria Ajeta. The soundtrack features songs by Mala Hierba, Mauro Ermanno Giovanardi, Marlene Kuntz, Fabrizio Mocata. On Sunday, October 10th Mala Hierba and bluesman Mauro Ferrarese will headline the "Suoniamogliele...ancora!" 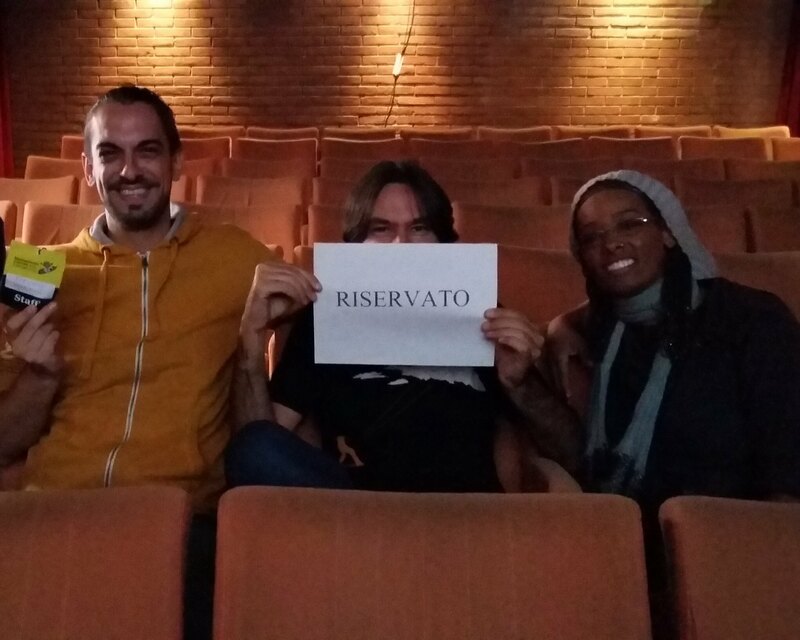 festival, that will take place at Spazio Teatro 89 in Milan. Saturday, march 13th at the Auditorium Demetrio Stratos in Radio Popolare Milano Walter Marocchi Mala Hierba+special guests: a special evening to present Impollinazioni "at home", featuring Antonio Neglia (who appeared as a guest on the album too) on acoustic guitar and Roberto Romano (Stewart Copeland, Rosso Maltese, Atleticodefina) on saxophone, woodwind and percussion. Free entrance while seats last, reservation recommended at info@cinemarocchi.com. WM interviewed at Radio SNJ on february 9th at 4 p.m.
New award to Impollinazioni: after winning Premio Toast the record has been nominated at the Progawards edition 2009 in the Best Debut Album category. Tonight WM on Fandango Web Radio at 9.15 p.m.
Mala Hierba on air: november 15th Radio Capodistria (www.radiocapodistria.net) at 9.30 a.m., november 17th Radio Onda D'Urto (www.radiondadurto.org) at 4.30 p.m., november 29th Radio Sherwood (www.sherwood.it) at 3.15 p.m.
Impollinazioni has won the Premio Toast 2009 award for Best Italian Instrumental Album. The award, created by Toast Records in association with M.E.I. (the italian meeting of indipendent labels, a very important musical fair in Italy), was given "for the rare ability to convey music without boundaries", and the band will receive it and hold a brief performance on November 28th at M.E.I., where they've also been pointed out as one of Best New Indie-Rock Acts of 2009.